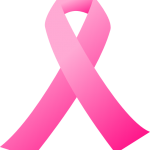 Benefit from the help available in the community during your breast cancer treatment. This list is a just some examples of the local community resources available to assist breast cancer patients during their treatment. 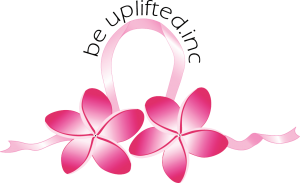 The team at Be Uplifted Inc is always available to help anyone during their breast cancer journey and provide individual advice and information on more services available for your personal circumstances. Our focus is on offering practical support to those experiencing difficulty or disadvantage as a consequence of breast cancer. Be Uplifted Inc volunteers worked hard to write and compile this free resource. This Cancer Support Services Guide will help answer questions you might have about breast cancer treatment, with detailed advice and information about practical community service options for support, assistance. Download the Be Uplifted Inc Directory Of Cancer Support Services here. Order your free crocheted breast protheses online. Be Uplifted Inc also makes our free external breast prothesis available at our shopping centre stalls or at our Charity Op Shops. The Look Good Feel Better Program has been running for many years. Breast cancer patients can sign up for a free workshop that will show you how to manage your appearance during cancer treatment. This is a hands on confidence-building workshop that offers practical skills with skincare, makeup and headwear tips and demonstrations by professionals. Lose of hair during breast cancer treatment can be a traumatic experience. Cancer Council Queensland offers free wigs and turbans through their ESA Wig and Turban Service. They have a selection of wigs – with a variety of colours and long and short styles available to lend. There are also turbans available. Contact the ESA Wig and Turban Service to borrow a wig. This free service can take you to and from your home to treatment (if particular conditions are met). 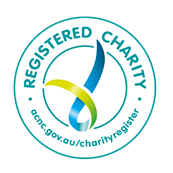 Contact the Cancer Council Queensland for more details. Relaxing while undergoing breast cancer is important, however the cost of treatment may mean those extras like yoga are out of reach. This free yoga practice allows you to work on your physical and emotional wellness without having the guilt of the cost. For those recently diagnosed with breast cancer, the BCNA’s My Journey Kit is a resource helpful free resource. A My Journey Kit is full of information aimed at assisting a breast cancer patient from diagnosis through treatment. It includes helpful additions such a booklet for you to record appointments, notes and expenses, plus a guide for partners of breast cancer patients. Contact the BCNA for your free information pack.